It's no wonder that hook and loop climbing shoes have found wide appeal. Given that climbing shoes are so tight, it's always comfortable to take them off between tours. Here are a few recommendations on hook and loop fastening shoes. 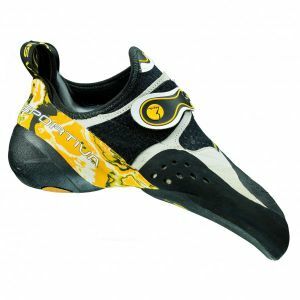 Hook and loop fastening climbing shoes are easy to put off and take on. This has more benefits than preventing foot pains after prolonged use. Even if the shoes are somewhat broken-in, it's nice to take them off when you're not climbing. When you're belaying, hook and loop fastening shoes put weight on your soles and reduce pre-tensioning. The soles also last longer because of how easy it is to remove hook and loop fastening climbing shoes. The hook and loop fasteners on climbing shoes offer more arch support. They are great for bouldering and technically-demanding routes. Even the fasteners on innovative hook and loop fastening shoes can't be tightened as much as laces. Most lace-up shoes are better for sport climbing tours and alpine climbing.